This hooked mass set is an ideal addition to your classroom - its economical, convenient, and durable! A set of twenty plated steel hex weights with hook, ranging from 1g to 1kg, conveniently stored on a fitted wooden base economically priced. Simply bring the storage base to the experiment site and all the weights will be at your disposal! 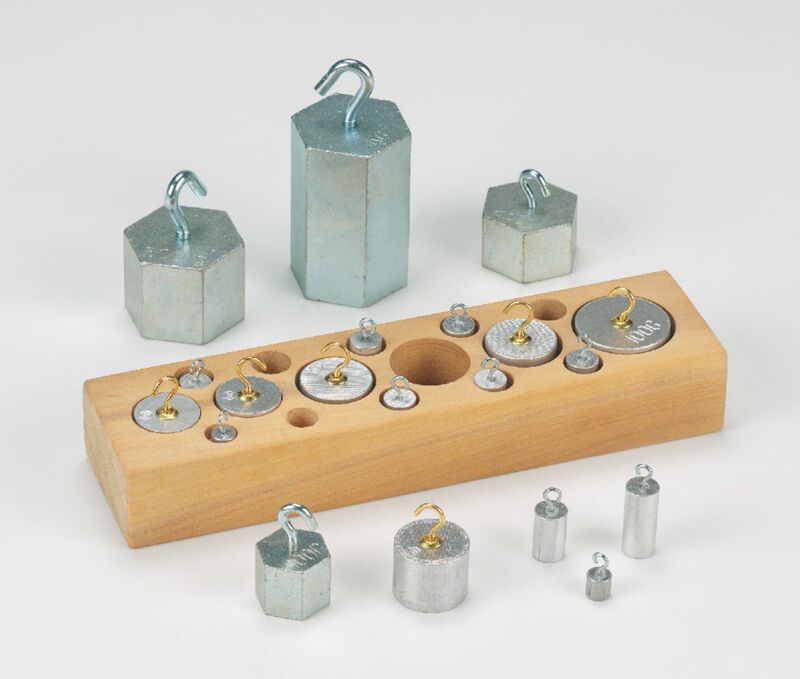 The Hooked Mass Set offers a great way to demonstrate weight at any grade level. Exact masses included in this set are: One of each of 1g, 2g, 3g, 4g, 5g, 6g, 7g, 8g, 9g, 20g, 30g, 40g, 50g, 250g, 500g, and 1kg. As well as two each of 10g and 100g.